Mobile gaming is a huge industry that raked in more than $91 billion in revenue in 2016, and of course, all of the major players get most of the glory. But smaller, independent game developers make some of the most fun and unique games out there — it's just harder to find their stuff because they don't have the promotional budget of studios like Rovio and Gameloft. Thankfully, the little guys finally have their own spotlight, as there's a section in the Google Play Store that highlights the best offerings from many indie game studios. 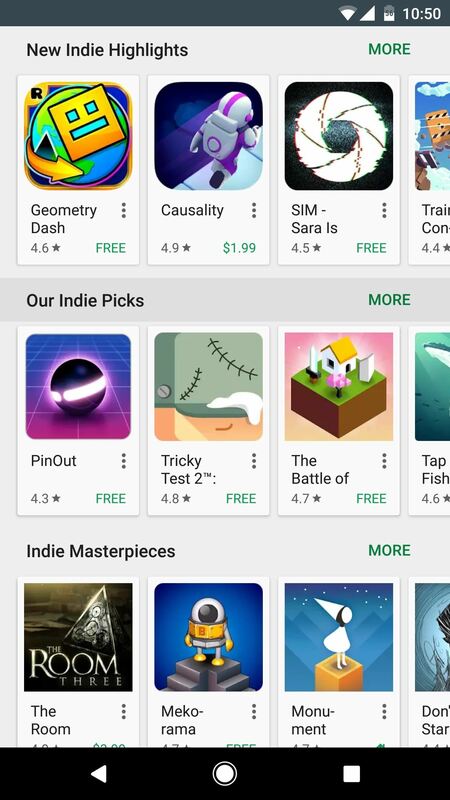 The only problem is, it's hidden away at the moment, so there's no way to find this "Indie Corner" from the front page of Google Play. Thankfully, a Redditor discovered this page and grabbed the direct link, so we now have a way to access it. Just head to the following link from your phone or tablet, and the page should open right up! Visit the 'Indie Corner' page on Google Play for great indie games. The Indie Corner, where tapping "More" on any category shows tons of great games. 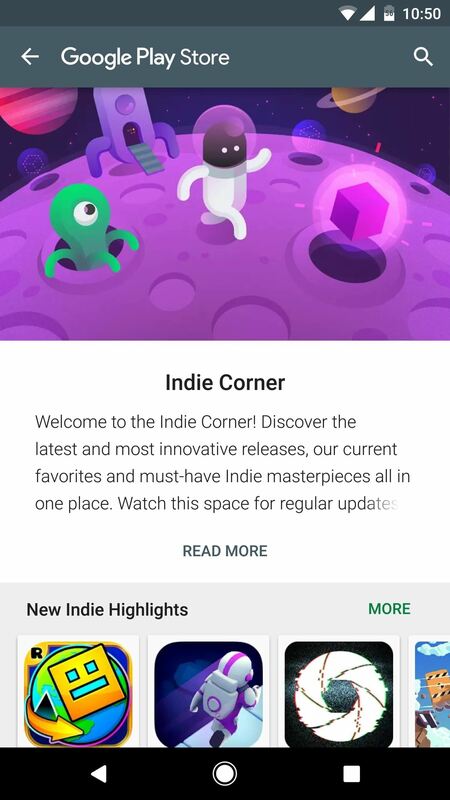 We're thinking that an easy-to-find link for the Indie Corner will be added to the front page of the Google Play Store at some point in the near future, so what you're seeing here is likely a preview of things to come. Some of the sections within Indie Corner have made their way to the front page every now and then, but we haven't seen the full repo appear yet. In the meantime, you can at least access this awesome indie game database using the above link. 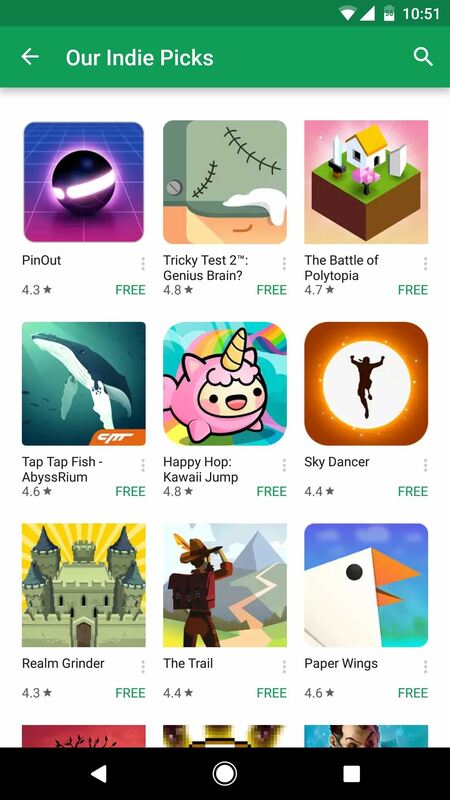 But either way, it's a nice move by Google to highlight some of the smaller devs on the Play Store, and it makes it a lot easier to discover some of the more unique games available for Android. News: Like Bubble Bobble Then You'll Love This!